Get your credit report — it's free. See your credit information and history in one place. 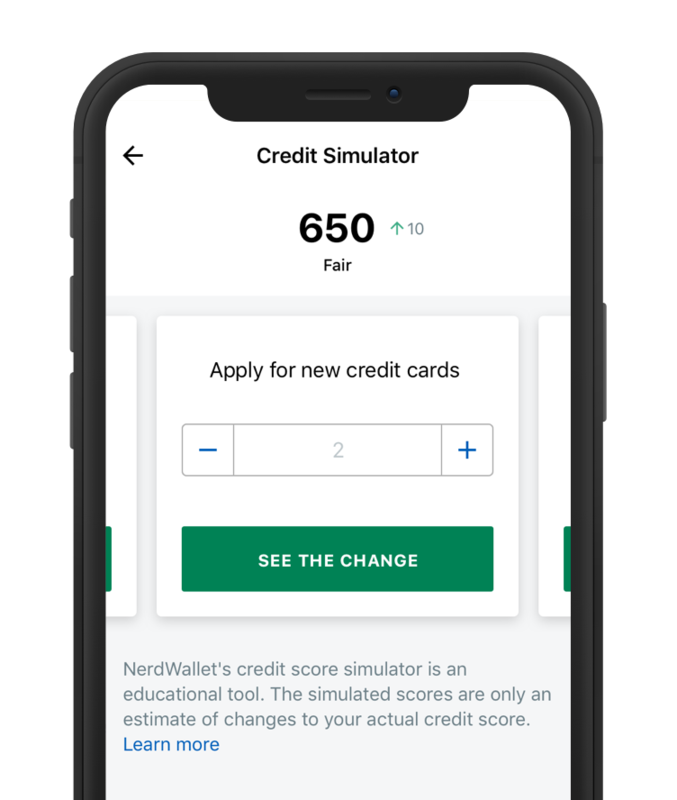 NerdWallet makes it easy to know where you stand and can even help you unlock better rates on loans, mortgages and credit cards. Your credit report is information about you and your history with credit. It includes your accounts, whether you’ve paid your bills on time and sometimes collections or bankruptcies. It’s important to check that the data is correct and up to date because it can have a powerful impact on your finances. NerdWallet’s easy-to-read free credit report is designed with you in mind. Review your payment history, how much credit you’re using and the status of your credit card, mortgage and installment accounts. See your balances and most debt. See your free credit score from TransUnion whenever you like. It's updated every 7 days. Plus, handy tips and simulators can help you improve your number. Get personalized recommendations to help build or maintain good credit. Ask questions and get answers from members and experts on our community forum to help you make smart, informed decisions. No strings. No commitments. Just sign up to access your free report today. No credit card required — really. Still not sure? Here’s how we make money. Rest easy knowing all your info is secured with 128-bit encryption. We use a "soft inquiry" to check your credit score, meaning it won’t be affected. Credit reports are records of how you've handled credit accounts in the past. The three major credit bureaus — Equifax, Experian and TransUnion — gather this data and sell it. Credit reports list your accounts and your payments, as well as any problems like late payments, collections, lawsuits or bankruptcies. Are credit reports the same as credit scores? Lenders and credit card issuers; debt collectors; public records (such as bankruptcies); and sometimes landlords. Any of these entities can choose to report your activity to all three bureaus, some of them or none — reporting is voluntary. NerdWallet checks weekly for updates on your TransUnion report. What should I look for on a credit report? Check names you've used, addresses, your Social Security number and birthdate. Then, look for things that don’t belong there: accounts you don’t recognize, payments marked late or accounts marked delinquent when you paid on time, and records like bankruptcies showing up beyond the number of years they can be reported (usually seven). You can see your own credit report. With your permission, so can potential employers. Insurers, banks, utilities and landlords can see your credit history if you submit an application with them. Lenders can see your report if you apply or if they extend a preapproved offer. What should I do if I see something that seems wrong? You can dispute errors on your credit report with the credit bureau that is showing the information. The bureau has 30 days to investigate and take action. If you find an error on one credit report, it’s smart to check the other two. Is my information safe at NerdWallet? Your info is secured with 128-bit encryption. Enter your phone number to receive an app download link by SMS.